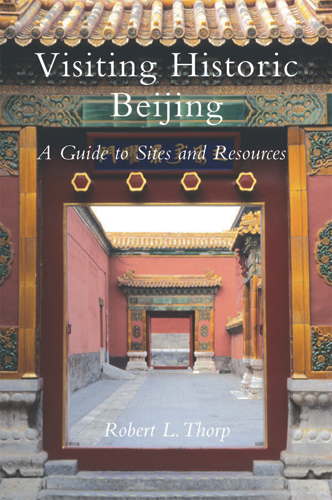 In this follow up to his popular Visiting China’s Past, Professor Robert Thorp continues his guided tour of China’s significant historical and cultural sites, here focusing on the city of Beijing and its environs. First explored are the archaeological remnants of settlements and cities that preceded the modern capital, including Youzhou of the Tang dynasty, Nanjing of the Liao, and Zhongdu of the Jin, all leading up to the great city of Dadu established by Kubulai Khan in 1267. The subsequent Ming dynasty capital, which established the layout and main monuments of the modern city, are explored in great detail, including: the walls and moats; the imperial city and palaces; state altars and royal tombs; Taoist, Confucian, Chinese and Tibetan Buddhist temples; and gardens and residences, from princely edifices and lush grounds to back alley hutong abodes. For each site, some overall layout or description of main structures is provided, with a “stand-alone” essay allowing readers to enjoy and understand its significance without recourse to additional material; for those who wish to learn more, however, each of the seven main chapters finishes with a list of suggested titles for further reading. Visiting Historic Beijing is an excellent guide for any curious traveler planning to visit Beijing, and a readable and reliable introduction to how Chinese culture is integrated into the architecture and urban planning of one of the world’s most magnificent capitals. Robert L. Thorp taught the archaeology, architecture, and Buddhist art of China at Washington University in St. Louis. His publications include Chinese Art and Culture (with Richard Vinograd, Harry N. Abrams, 2001), China in the Early Bronze Age: Shang Civilization (University of Pennsylvania Press, 2005), and Visiting China’s Past (Floating World Editions, 2006). He is a frequent tour lecturer in China, and lives in Red Lodge, Montana.